Bare Escentuals is well known for it's amazing natural products. Personally, I think its an amazing company with exceptional products. 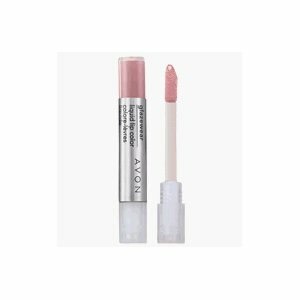 As expected this lip gloss is 100% natural, a big plus for those of you that are Eco friendly. The natural ingredients like Cupuacu butter and Seed oil should help hydrate lips leaving them smooth , soft and non sticky. A subtle Vanilla fragrance is apparent with the gloss. 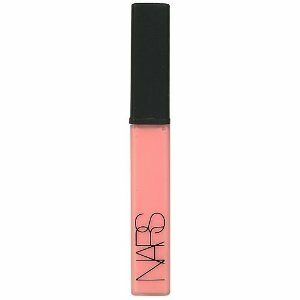 Bare Escentuals 100% Natural Lip Gloss is available in 12 different shades. Contains no Preservatives or petro-chemicals seems to be a running theme that a lot of cosmetics have in common these days. While having more natural ingredients are a good thing, having no preservatives does mean they aren't going to last more than a few months or so. Just some thing to keep in mind. 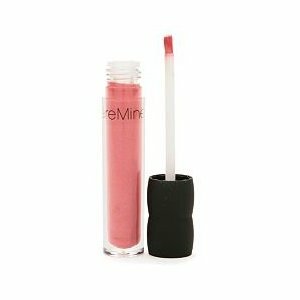 Unfortunately Bare Escentuals did not include a SPF in this gloss, which can help stop lips from drying out as quickly. All shades contain:Ricinus Communis (Castor) Seed Oil, Oleic/Linoleic/Linolenic Polyglycerides, Copernicia Cerifera (Carnauba) Wax, Brassica Campestris/Aleurites Fordi Oil Copolymer, Helianthus Annuus (Sunflower) Seed Oil, Flavor (Natural Vanilla), Oryza Sativa (Rice) Bran Wax, Euphorbia Cerifera (Candelilla) Wax, Sorbitan Olivate, Sesamum Indicum (Sesame) Seed Oil, Beeswax (Cera Alba), Tocopherol, Theobroma Grandiflorum (Cupuacu) Seed Butter, Punica Granatum (Pomegranate) Seed Oil, Lonicera Caprifolium (Honeysuckle) Flower Extract, Lonicera Japonica (Honeysuckle) Flower Extract, Simmondsia Chinensis (Jojoba) Seed Oil, Silica, Glyceryl Caprylate. (+/-): Mica, Iron Oxides (CI 77491, CI 77492, CI 77499), Titanium Dioxide (CI 77891), Carmine (CI 75470). All in all Bare Escentuals have created yet another fabulous product. Most patrons found the gloss to moisturize, last, shine and be non sticky. There was one lady who said the gloss wasn't for her, as it feathered, was sticky and she didn't much like the Vanilla fragrance. Some fanatics think it is a little expensive at $15 a tube considering it doesn't contain any SPF. However, most said they would buy it again. You are currently browsing the archives for the Lip Gloss category.